Below you can find the addresses to the locations where Allerton Conference events will be held. The Retreat Center’s parking lot will be on the left hand side of the road. If you reach the 4H Memorial Camp sign, you have already passed the Retreat Center. 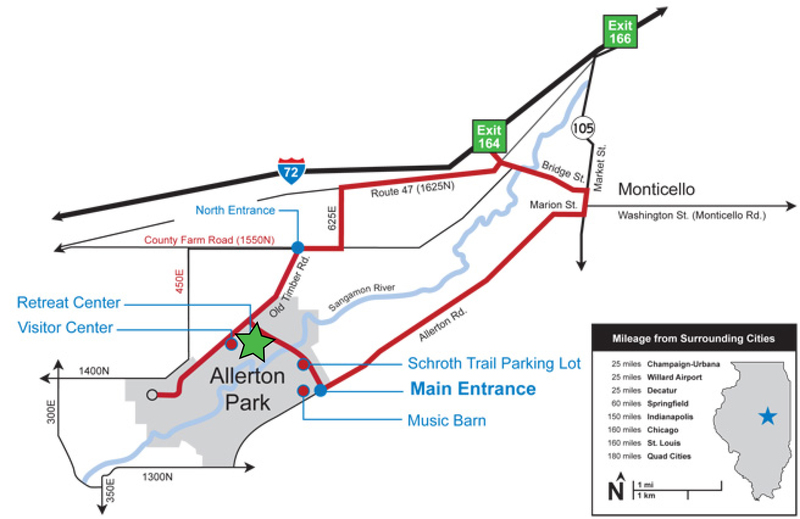 Click for a map and directions to Allerton Park. Final Manuscripts that are presented at the Conference are due by September 29, 2019, 11:59 p.m. PDT.